Need a Break? Watch a Psych-Film! Posted December 4th, 2016 by Mike Boyes & filed under General Psychology. Description: Are you looking for some screen time diversions to either distract yourself from the demands of studying or to simply relax after your exams are done? If so why not watch a couple of movies that have been recognized for their psychological content? The list provided in the link below was simply based on a survey asking people to send in their favorite psychologically relevant films. The resulting list however does contain a number of films that do quite wonderful jobs of capturing some aspects of psychological experience. Not all of them are about disorders either. Have a look at the list and see if there’s any that you haven not seen yet. If you have already seen all of the films in the list linked above, or if none of them seemed interesting to you, another thing you can do is simply enter “film or movie” in the search box in the upper right-hand corner of this blog screen and hit return. The results will include a number of posts that I made over the last while either involving reviews of particular films or other lists of films that are linked in interesting ways to psychological content. Perhaps you can find something interesting to watch there. Remember, even if a film you’re watching is not specifically focused on psychological content there inevitably will be concepts situations and issues presented that can be interestingly viewed from a psychological perspective. Either way enjoy what you do to relax over the break between terms. Do you find yourself noticing scenes or issues of psychological interest in films and television shows that you watch? 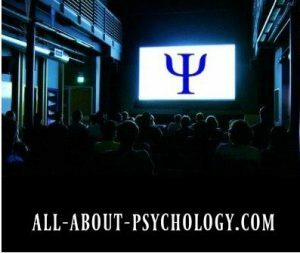 Have you specifically sought out films with content specifically related to psychology since starting whichever psychology courses you are currently taking? What is your impression of the accuracy of psychological claims or depictions in the films you’ve seen. Do you feel that filmmakers who incorporate psychological theory (or, instead, pop psychology) into their work should reflect, ethically, on what and how they are presenting and if so why do you think that’s important?